There’s more to popped food than just popcorn. Insert popped quinoa: the gluten free superfood that is a complete protein and high in vitamins such as B6, folate and riboflavin. Once popped, the size doesn’t really change much, but it does take on a nutty toasted flavor that’s an awesome addition to tons of dishes. 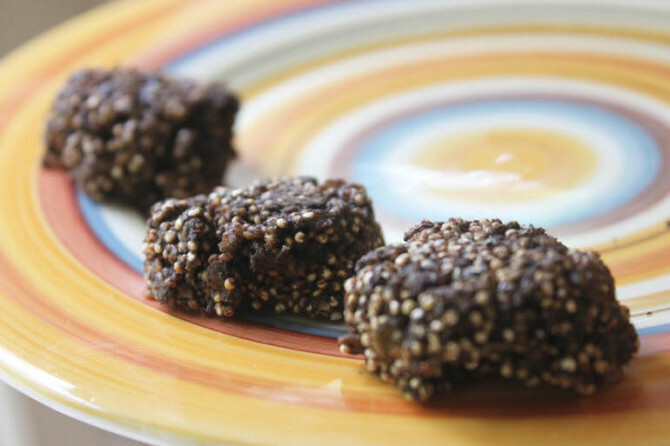 Poppin’ quinoa requires no oil and the cooking process is super quick. So if you don’t have popped quinoa in your life (yet) learn how below and and what you should be adding it to. Not only is it an awesome source of protein, you’re also adding a tasty crunch. Try adding it to this salad. 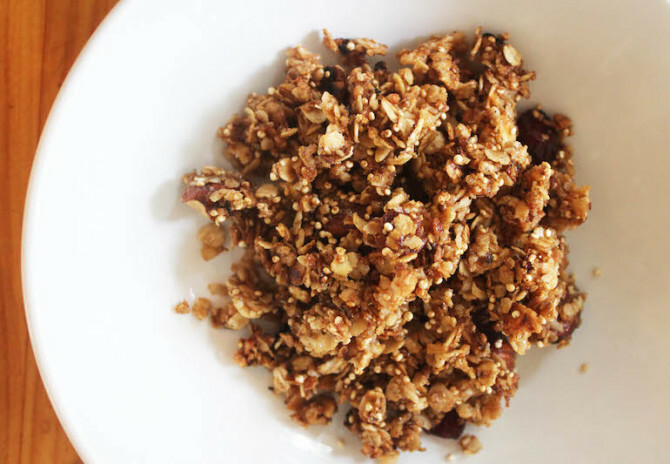 Popped quinoa combines perfectly with sweet clusters of granola. You’ll wonder why you ever left it out. Justify eating more by adding popped quinoa to any and all cookies. Here’s a game changer. 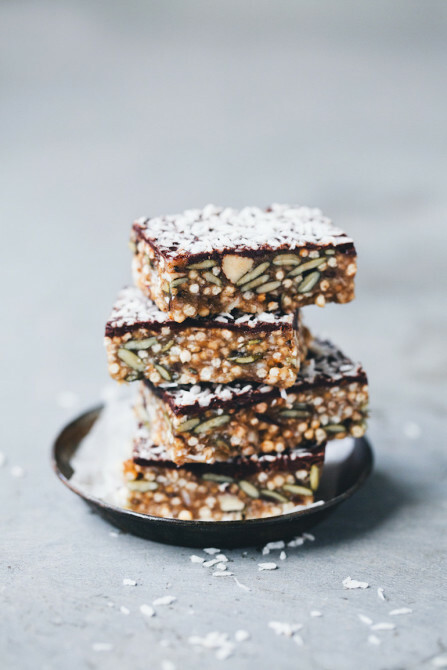 Rid yourself of crunch bars and make quinoa chocolate bars. 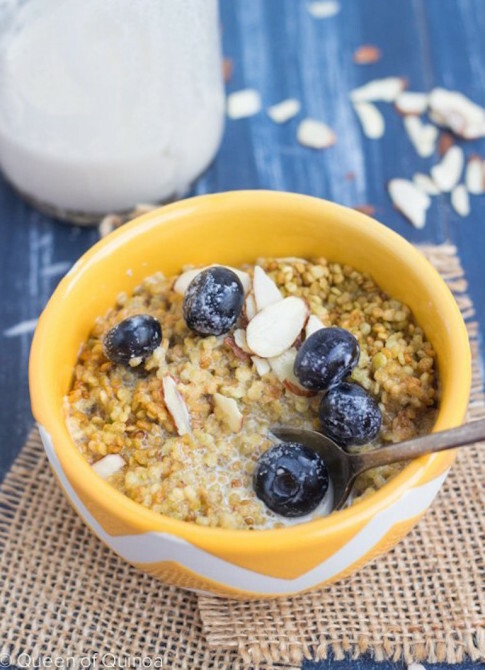 With some simply flavoring and milk you can make quinoa cereal. 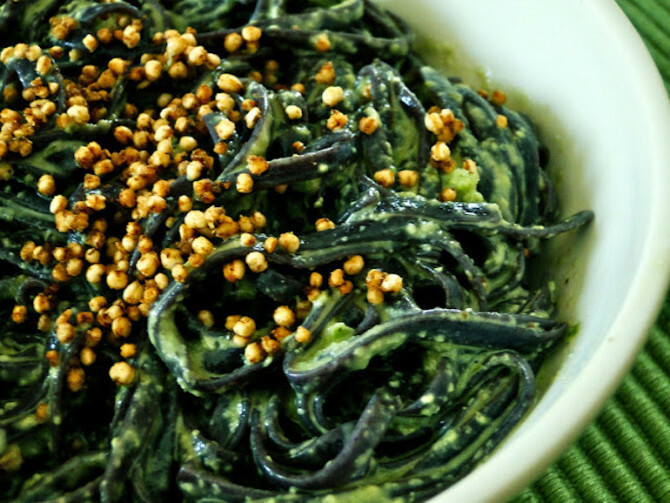 You can even combine popped quinoa with ginger and noodles for a sweet dinner. 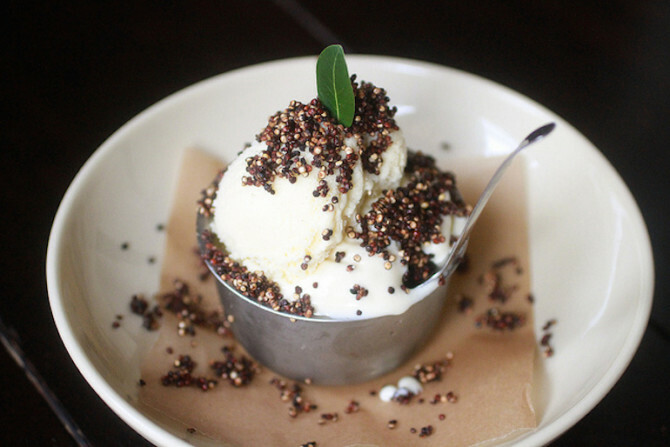 Put popped quinoa on ice cream because sprinkles have no nutritional value. 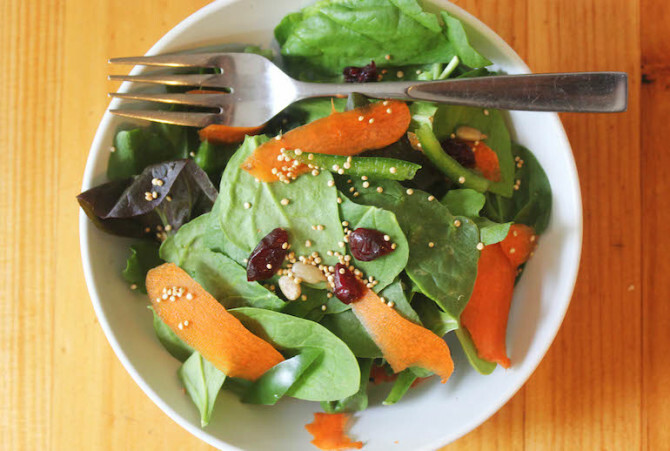 Continue reading to learn how to pop quinoa yourself. Rinse quinoa and let dry on a cookie sheet. Heat a large pan over medium-high. Add oil or butter if desired. When pan is very hot, quickly pour in quinoa. Immediately start shaking the pan over the heat. Do not let the quinoa sit or it will burn. Shake for about 1 minute, or until quinoa is no longer popping. Once the quinoa has popped, quickly transfer to a bowl.